The Masonic Order of Canaanites has flourished because it has chosen its propaganda vehicles with great care. Perhaps the most efficient of these, one which has converted a large and vocal segment of the Christian church to its work, is secular humanism. The basic premise of secular humanism is that human interests should take precedence over all things. Because of its insistence that "government interests" are the primary instrument for implementing the good of human interests, secular humanism has become the primary advocate or statism, or big government, which means, of course, totalitarian government. This implementation by government bureaucrats always pits "human interests" against "spiritual interests." The spiritual interests are soon shunted aside. Secular humanism, more properly, is the humanism of temporal affairs, the affairs of this world. For those who believe there is no afterlife, it is of supreme importance to maintain total control throughout this life, believing that there is no other. Those who believe in the afterlife, on the other hand, are tempted to be too tolerant of outrages on the earth, supposing that things will be better in the next world. Many people confuse in their own minds the term "humanitarianism" with that of humanism. Its most widely perceived example in the twentieth century is the death camps of Soviet Russia, where some sixty-six million souls have perished. ~ and the desire to alleviate someone else’s suffering. Humanism, on the other hand, stemming it does directly from the demon worship and the child murders of ancient Babylon, has as its ultimate goal the inflicting of suffering on its enemies, or anyone whom it perceives as an enemy. Humanistic social agencies in the United States continually degrade and humiliate the persons whom they claim to be "helping." The Internal Revenue Service is the outstanding humanistic agency in the United States; its goal is to redistribute the wealth of the citizens to "more deserving" recipients; quite often, these recipients are resident in foreign lands, and they would like nothing better than to see the United States destroyed. Humanism always has a specific political direction. Its aim is to usurp and replace man's political institutions, and to set up in their place a permanent type of socialism, in which "the good of humanity" will be administered by the bureaucracy of a totalitarian state. The "welfare state" which has been established in so many Western nations is a giant step on the path leading to this goal. Despite the many references to secular humanism by both its advocates and its opponents, one seldom hears any concrete discussion about what secular humanism is, or about its sources. This is particularly surprising, because both its origins and its history are easily available from standard reference sources. Also, the more vocal advocates of secular humanism are often found in academia, where scholarship is a way of life, and where this subject offers many tempting avenues of research. "Poets somehow or other overlook a fourth aspect of humanism, one expressed in the severe and beautiful concept of hatred." Indeed, most writers would fail to perceive that hatred is a vital aspect of humanism. Perhaps it is more obvious in Soviet Russia than in other countries. Voinovich goes on to characterize hatred as perhaps the most important single component of humanism. But how is this possible? How could humanism, the placing of humanity's interests above those of spiritual concern, the improvement of mankind by denying any spiritual role in man's development, and concentrating strictly on "his own" humanistic interests, contain the fundamental ingredient of hatred? Humanism, Bolshevik style. 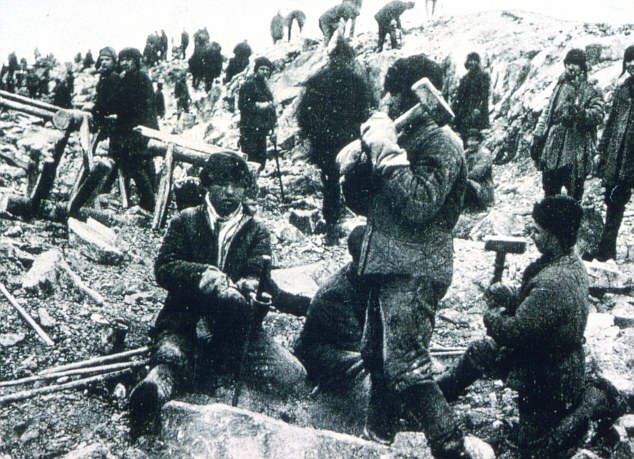 Gulag slaves, primarily Christian, worked, starved and frozen to death. Only someone experienced in the horrors of the modern Soviet State could be qualified to identify hatred as the prime ingredient of humanism. The Soviet Government, administrator of the world's most humanist state, has murdered some sixty-six million of its own citizens since the Bolshevik Revolution, according to its leading writer, Aleksander Solzhenitsyn. All this has been done in the name of "socialist realism," or humanism. The essential ingredient of humanism, hatred, can be traced directly back to its source, the demon worshippers of Baal in ancient history, the Canaanites who indulged their appetite for human sacrifice in the name of "religion," cannibalism in the rite of honouring their gods, and child murder in the name of Moloch. These are the same Canaanites who operate the great nations of the world today, and who eagerly look forward to more of the massacres which they have perpetrated in the twentieth century, and which has made our time the scene of the greatest mass murders in the history of mankind. "All of the spirit world is moved with the wisdom of the fallen angel. The spirits of the dark zone are coming forth in a spiritistic period. Spiritism is but the agency in the hands of that great fallen angel who still retains the title as the prince and god of this world and of long date is determined to fulfill and function it." Thus we see that a great many people, spiritists, spiritualists, and their like, believe that Satan is in control of this world. From their actions, the humanists also seem to believe this. Certainly they would not have taken hatred of life as a principal ingredient of their philosophy if they had not adopted the practice of Satanism. As we examine the long history of humanism, and trace its manifestations from the ancient world to the present time, we find singular coefficients which appear in all of its various historical periods. The first, of course, was the Canaanite world of Baal and Ashtoreth, with its focus on demonic methods of worship. In its subsequent manifestations, probably due to increasing public resistance, it took on a protective coloration of "intellectual" costume. 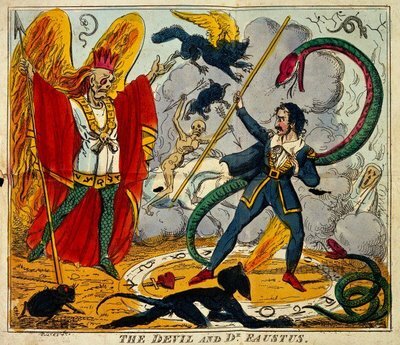 Baal became Dr. Faustus. The smoking altars of the Canaanites were obscured by a growing emphasis on philosophical discourse. The first of these "schools of humanism" was that of Pythagoras (582-507 B.C.). The Pythagorean School, which was set up at Crotona, functioned as a "mystery school," that is, a school in which the "mystery" aspects of philosophy were emphasized to a limited group of carefully chosen "initiates." The Pythagorean equation was based on the dualism of first principles-the limited, or source of definitiveness, and the unlimited, or source of divisiveness. In effect, this was the first school of dialectic, a form of teaching which was to reach its apogee in the nineteenth century work of Hegel, and his most famous disciple, Karl Marx. The Pythagorean School also featured many precepts which in later centuries would appear in the Book of Zohar, the Kabbalah. One of these precepts was numerology, an attempt to concentrate upon the universe as a mathematical equation, and thus to work out, or to discover, magical formula which would give control over it. The Pythagoreans featured tetraktys, the sacred number ten, which was arrived at by adding the first four numbers. The Pythagorean School at Croton has an interesting correlation in our own time. During the 1930s, the American headquarters of the Theosophical Society was at Krotona, California. Whether this town was deliberately named after the Pythagorean town is not known. The Pythagorean Theorem or metaphysic of numbers greatly influenced Plato. Although he is known to us primarily as a philosopher, he exercised considerable political influence throughout his adult life. He was the acknowledged leader of a Mediterranean political faction which was opposed to the expansion of the Persian Empire. Plato led in the development of an elite which could bring the Greeks back to political dominance in the Mediterranean. The influence of the Pythagoreans caused him to develop a program much like that of the Freemasons today, a secret elite which could exercise its influence from behind the scenes, but always dedicated to its own hidden program, whose principles were known only to an elite. 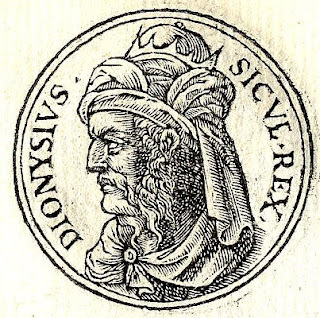 Plato supported Dionysus I, ruler of Syracuse, as leader of the Greek coalition forces. Dionysus became Plato's model for his future philosopher-king. In return, Dionysus' brother-in-law, Dion, gave money to Plato to establish his school of philosophy, advancing funds to build a group of buildings which are now known to history as the Grove of Academe. It was in these buildings, on the outskirts of Athens, that Plato wrote "The Republic" as a guide for humanists of the future, so that they could achieve total control over their society. 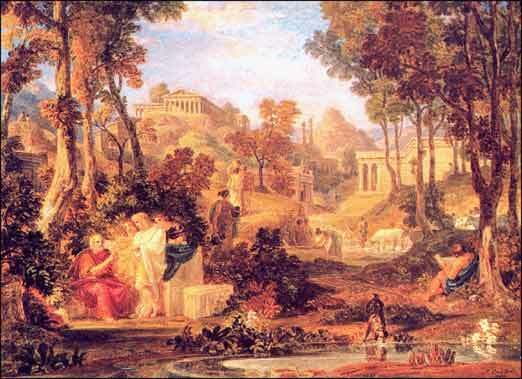 Plato then advised Dionysus II in his sacred war against Delphi. During this war, the Temple of Apollo was captured, including the vast amounts of gold which had been stored there. 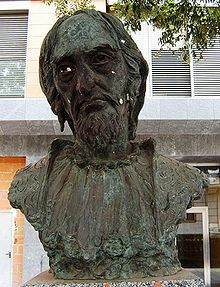 Plato later wrote the dialogue "Timaeus" as an elegy for his mentor, Dion. Both Plato and Pythagoras believed in the doctrine of transmigration of souls, a favoured theory in mysticism. Plato remains the single most important figure in the development of humanism, because, almost single-handedly, he transformed it from a creed based on the demon-worship of Baal to a more respectable "school of philosophy," a process which had been initiated by Pythagoras. Nevertheless, humanism remained a creed which was devoted to the conspiratorial enslavement of mankind by a secret elite, which considered itself specially "chosen," and Gnostic, that is knowing, as contrasted to the not- knowing. While become more and more engaged in the secular aspects of society, humanism has remained true to its basic precepts, which are comprised of a mixture of the doctrines of the principal “mystery" cults; pantheism, worship of nature, Gnosticism (which is always a manifestation of Satanism, irrefutably based in Gnosticism, or knowing the secrets), and hermeticism. It was the threat of these doctrines which caused Christ to issue his famous warning, "Beware of false prophets, who come to you in sheep’s clothing, but inwardly they are ravening wolves. Ye shall know them by their fruit. Domen gather grapes from thorns, or figs of thistles?" (Matthew 7: 15-16). Humanism is the wolf in sheep's clothing. It comes advertising its compassion for humanity, its concern for the homeless and poor, but as Christ says, know them by their fruits. Do not ask what they intend to do. Find out what they are doing. In this way, you will not try to gather grapes from thorns, or figs of thistles. Hermetic philosophy is traced back to Hermes Trismegistus, the Greek name for the Egyptian god Thoth, the god of wisdom and letters. The name itself means "thrice armed," the precept being that he who has more information than others has greater protection. Francis Yates points out in "Giordano Bruno and the Hermetic Tradition," "The theory of universal animation is the basis of magic. 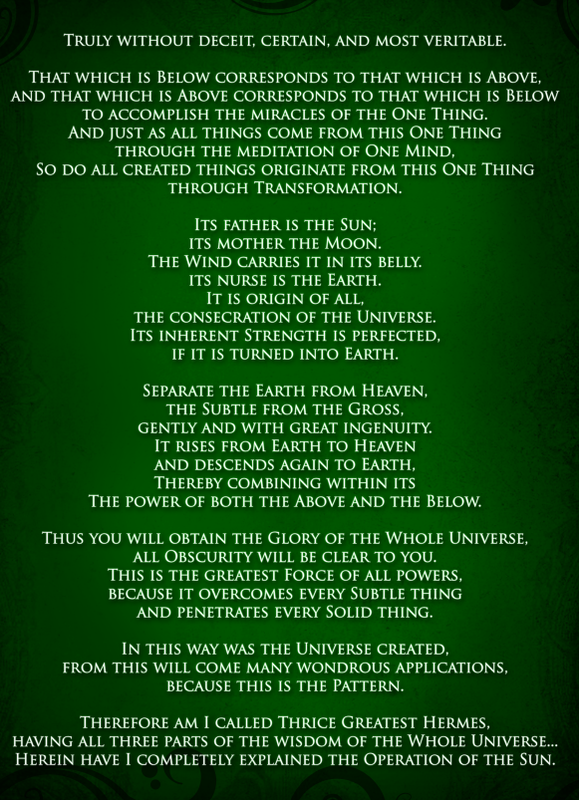 The Hermetic sequence par excellence is alchemy ~ the famous Emerald Tablet, the bible of the alchemists, is attributed to Hermes." Despite the efforts of Christian leaders to stamp out heresy, the Middle Ages were rife with many forms of superstition and black magic. While the alchemists sought to transform base metals into gold, a new dialectic of mysticism, the Kabbalah, became a potent force throughout Europe. "Cabala" simply means traditions. It was formulated as the Book of Zohar, written by the Jewish mystic Moses ben Shemtob de Leon in 1280 A.D. as a midrash on the basic law. Legend had it that when God gave the Law to Moses, he also gave a second revelation as to the secret meaning of the Law. It was forbidden to write down this secret meaning for centuries; it was passed along orally to a select group of initiates. "Secret meanings" are basic to the "mystery" cults. 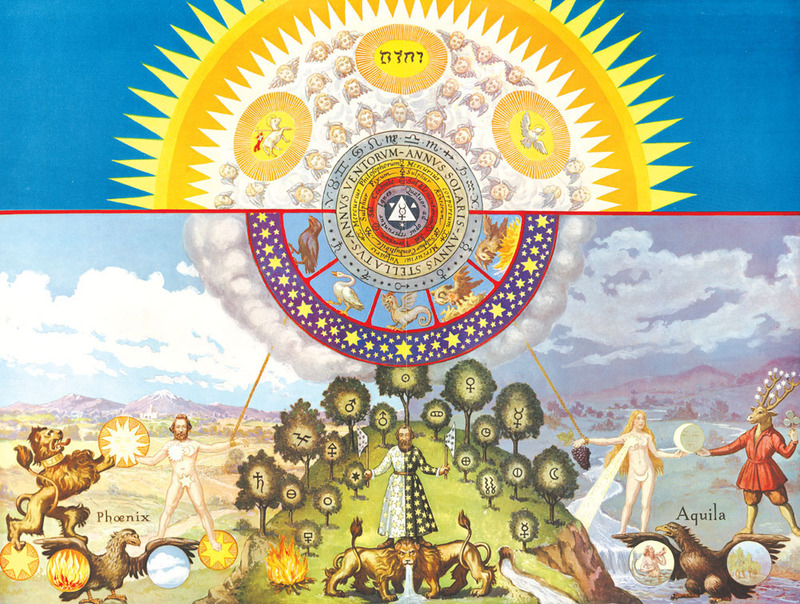 Theosophy is based on secret meanings; its doctrines were taken directly from the Kabbalah, yet the most widely circulated book on American cults, "The Kingdom of the Cults" by Walter Martin, Bethany Press, 1965, in the chapter on Theosophy, does not once mention the Kabbalah. The Book of Zohar is described as a theosophical system based on the ten Sephiroth, or divine emanations, and twenty-two letters of the Hebrew alphabet comprising the names of God. In1492, the expulsion of the Jews from Spain sent teachers of the Kabbalah throughout Europe. Their doctrines produced the most dominant school of philosophy of the Renaissance, the Neo-platonic School. Neo-Platonism, in turn, became the fount of other philosophical developments, which led directly to the Reformation, the Enlightenment, and the Age of Revolution. 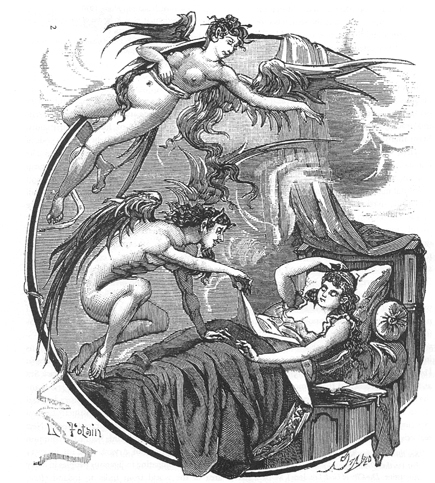 Succubus and incubus preparing for rites with a sleeping woman. Zohar stresses the Talmudic legend that demons on earth originated in sexual congress between humans and demonic powers, creating such well known demons as Lilith. For this reason, demonic rites always emphasize sexual acts. The Neo-platonists were widely criticized because many of its teachers and students were well known for their involvement in homosexuality. Neo-Platonism combined hermetic writings with Gnosticism, organized against the background of the Kabbalah. It emphasized internal illumination (a precept which led directly to the development of the Illuminati cult in Germany), ecstasy, and the correlation of mysticism and nationalism. Neo-Platonism’s attraction to its adherents was the offer of "liberation of the self" through mystical experience. This system of philosophy soon made the Renaissance* dominant cultural force in Europe. 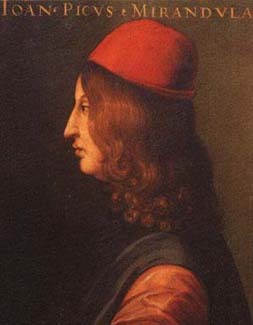 Influenced by the Byzantine Plethon, it found its apogee in the career of Pico della Mirandola. In Neo-platonic philosophy, the soul has definite affinities within the sphere. The soul substance is laid around the concentric sphere of the four elements above the fiery heaven. ED Noor: See image at the top to the page. As in the case of Plato, this school of philosophy was seen to have powers of attraction to the ruling order, and it was soon placed in service. 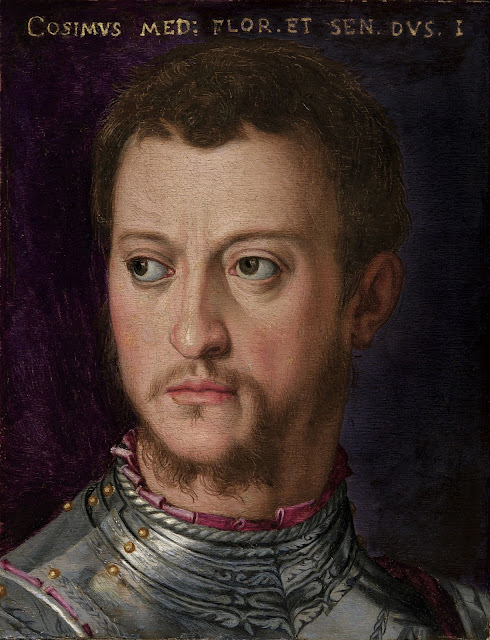 The most powerful banker of the Renaissance, Cosimo de Medici, leader of the "black nobility" in Italy, the Guelphs, gave the money to found the Academia Platonic in Florence during the fifteenth century. With this financial and political support, Neo-platonism won rapid acceptance. In 1486, Pico della Mirandola presented 900 theses on this new philosophy at the Academia; 72 of these theses were obvious Kabbalist concepts. A noted Hebrew scholar, della Mirandola based much of the philosophy of Neo-Platonism on his studies in this field. By his emphasis on a universe, which is centered on man, he is credited with having anticipated the twentieth century philosophy of existentialism. Della Mirandola was succeeded at the Accademia by Johann Reuchlin, who became famous for his development of "Christian cabbalism," that is, a Christian version of the Kabbalah. He also became a principal figure in the spread of the Neo-platonic doctrine. Later known more simply as “Renaissance humanism," Neo-Platonism, or Christian Kabbalah, often excluded belief in God from its philosophy. Its principal thesis was the cabalistic theory that matter (or life) is essentially imperfect, and thus causes disorder in an otherwise perfect world. Plato's Republic also sought to "correct" the imperfections of society by setting up a "perfect" nation, whose perfection would have to be protected and sustained by a dictatorship; this became the foundation of all future schemes for "utopia," the most well-known of these being Communism. Marx proclaimed that when this state of perfection had been reached, the state would wither away and would no longer be required to exercise dictatorial powers. However, no Communist state has yet reached this state of perfection. This was the goal of perfection which originated in revulsion against the life process; because of this revulsion, "humanists" had no qualms about murdering sixty-six million humans in Soviet Russia. This was the result of Neo-platonism's "perfect marriage" between the Kabbalah and the Oriental precepts of Gnosticism, a union based on the denial of God's role in the Universe. The combination of high finance, in the person of the Medici, and Neo-platonism, which offered the possibility of unlimited behaviour control, created a situation which was made to order for the Canaanites in their continuing battle against the people of Shem. Plotinus and his pupil, Porphyry, had developed the basic aspect of Neo-Platonism, that the First Principle and source of reality, the One, or Good, transcends being and thought, and is naturally unknowable. Gnosticism always begins with the precept that certain things are "unknowable," but that their hidden meanings can be revealed to a select group who have gone through the proper rites of initiation. Thus the doctrine of Neo-Platonism became the ideal vehicle for the new worldwide secular priesthood, the heirs of the rites of Baal, but clothed now in the cultural garments of the Renaissance, and later, the Enlightenment. Its final phase was the Illuminati, the secret sect which directs Freemasonry. Because humanism was based on the relativism of Protagoras, it developed successively into the Renaissance, the Reformation, the Enlightenment, Marxism, and Freudianism ~ Freudianism then developing its own offshoots of feminism, bisexuality, and the drug culture. Humanism became the guiding force of the development of Socialism and Fabianism in England and the United States. Its principal propagandists were careful to establish that humanism was based on atheism, amorality, and a Socialist One World State. Corliss Lamont, the son of a partner in the firm of J. P. Morgan Co. became the principal spokesman for humanism in the United States. He says, “A truly Humanist civilization must be a world civilization." He drafted a Humanist Wedding Ceremony which is now widely used to replace the traditional Christian rite. (5) the end of life is the complete realization of human personality through liberalism and liberal education. The emphasis on "personality development" became effective only after traditional values had been destroyed. or what the purpose of their life might be. They were then ripe for the school of "personality," that is, humanist propagandists who could recruit them for "alternative life styles," or homosexuality, and for the program of the Communist Revolution. Humanism also provides the absolute justification for the oppressive intervention of liberal officials in every aspect of citizens' lives. Our personal freedom and rights come directly from God; no government can either bestow them or take them away; it can only administer them. The doctrine of humanism, by denying God’s role in mankind's affairs, opens the door for a cabbalistic state to take away all human rights, and thus set up a Soviet Gulag, or world concentration camp. This would ensure the final victory of the Canaanites over the people of Shem, enshrining the hatred which is the core of humanistic philosophy in their absolute power over their historic opponents. The principal agencies of humanism in the United States are centralized in a small group of billion dollar foundations which were set up to subvert the American Republic. In "The World Order," I traced the history of these foundations back to the Peabody Fund, the chief carpetbagger power in the conquered Southern states after 1865. Peabody, an American who became secretly affiliated with the Rothschild banking house in London, founded his own banking house, Peabody and Co., which later became J. P. Morgan & Co.
His carpetbagger Peabody Fund, working closely with the federal military forces, which maintained their occupation of the Southern states until 1877, later became the General Education Board. 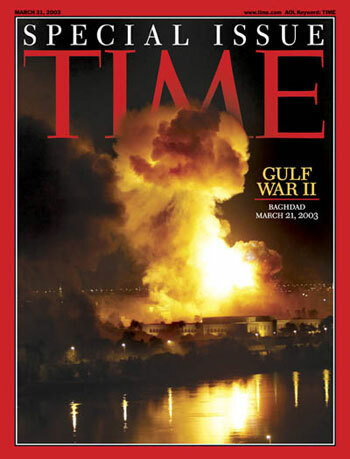 Still later, it was absorbed by the Rockefeller Foundation. Since World War II, at least four Secretaries of State have been presidents of the Rockefeller Foundation, including John Foster Dulles, Dean Rusk, Cyrus Vance, and Henry Kissinger (the latter was a director). The humanist foundations use their tax-exempt billions to infiltrate and control American education, religion, and government. The humanist officials of the foundations, after undergoing extended brainwashing at subsidiaries of the Tavistock Institute (itself a branch of the British Army Dept. of Psychological Warfare) are thoroughly indoctrinated in the Canaanite program of world control. Thus Dean Rusk, who was of an old Georgia family, when he was informed by his World Order controllers that he must marry off his daughter to a black man, enthusiastically called a press conference to announce the happy event. Surprisingly enough, the major American foundations were the creation of one man, a member of the German Illuminati named Daniel Coit Gilman. In the "Brotherhood of Death" file is a card from the German group to Gilman. Gilman had been vice president of the Peabody Fund and another carpetbagger fund called the Slater Fund, which controlled Southern politics after the Civil War. Gilman met with Frederick T. Gates, the director of John D. Rockefeller’s “charitable enterprises," and set up a new foundation for them in 1898, called the Southern Educational Board, which merged the Peabody and Slater Funds. This foundation was further centralized when Gilman advised Rockefeller to call it the General Education Board, a noteworthy move signifying that its purpose was not merely to control education in the South, but in the entire United States. It now operates under the name of The Rockefeller Foundation. In addition to being an incorporator of General Education Board, Gilman was also the incorporator of the Carnegie Institute, of which he became the first president, and the Russell Sage Foundation. In 1856, Gilman had set up the Russell Trust at Yale University with Andrew White and Timothy Dwight. 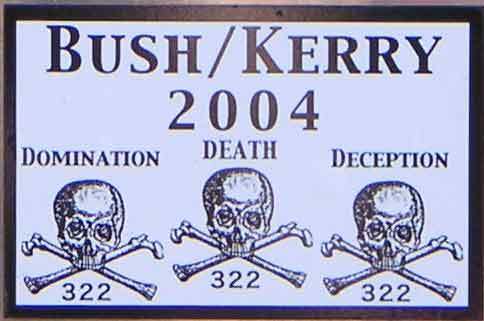 This group became known as "Skull and Bones" because of its symbols featuring those parts. It is also known as the "Brotherhood of Death" because its members include many of the leading front men in the United States, the planners of war, peace, revolution, and financial calamities. They include the late W. Averell Hardman and many members of his banking firm, Brown Brothers Harriman, such as Prescott Bush and his son, George Bush, the vice president of the United States; the tireless propagandist William Buckley, and many others. The three founders of the Russell Trust exercised a profound influence over our educational establishment; Dwight became president of Yale; White became the first president of Cornell; and Gilman became president of the University of California, and later Johns Hopkins University, where Woodrow Wilson came under his influence. The Russell Sage Foundation, also founded by Gilman, he; played an important behind-the-scenes role in the United States for many years. Frederick A. Delano, one of the incorporators, and heir to his father's opium fortune, was a member of the original Federal Reserve Board of Governor; he was later named President of the Federal Reserve Bank of Richmond by his nephew, Franklin Delano Roosevelt. Another director of Russell Sage Foundation, Beardsley Ruml, served as president of the influential Federal Reserve Bank of New York, which is known as our money market bank. He also inflicted the withholding income tax on the American people during World War II as an "emergency" measure. The emergency seems to be still with us. We could go on for many pages, detailing the tremendous influence of the humanist foundations on every aspect of American life. They are solely responsible for implementing the increasing government control over every citizen, because each plan for more control and higher taxes is drafted by the foundations, whose staffs then present it to our willing Congressmen for almost automatic enactment into law. Because we do not understand the demonic influence and origin of these humanist revolutionaries in the smoking altars of human sacrifice in Babylon, we are not able to protect ourselves against their depredations. Yet the evidence exists, and it is available if we would but make use of it. In 1876, an article about Skull and Bones appeared at Yale, which boasted of a clandestine entry into the sacrosanct premises of The Order. On one wall was an engraving depicting an open vault, four skulls, and other paraphernalia. Below it was a card with the following: "From the German Chapter. Presented by Patriarch D. C. Gilman of D. 50." Patriarch is a basic title for officials of both the Illuminati and Freemasonry. However, one would err in concluding from this discovery that Skull and Bones is merely another chapter of the Freemasons. Indeed. For many years I was enamored of this mumbo jumbo. S'all true. Theosophy was deep in the roots of my mothers families who were "Angelinos". Her mother was a "flapper girl", who remarried and broke at least three men. I came to see what BS it was and moved too late to save my children from the feminist mystique in California. Even here in Idaho the Skullduggery is foundational. A man finds a well stacked deck of collectivist tarot cards running every aspect of the techocratic state. God help us. Excellent, Noor, thank you. Eustace definitely knew how to create a tapestry so the whole picture would emerge. I printed out 'The Curse..' a while ago from open source, but it's much more fun to read it in colour with your highlights. So, the pact with the deceiver, or the celestial error (Chiappalone) still has people clamoring for fame and fortune and power over others. He claims this universe is scheduled for destruction. Of course, the good souls will be saved or are already. Or can we believe LV, who loves to point out that everything is under control? Haven't made up my mind yet. Thanks for posting ,I had forgotten way too much of this book.